In today’s dynamic world, you cannot afford to have a dead phone, you must stay connected 24 hours a day, 7 days a week, otherwise, you will miss out on important business deals, important news and be left behind on social life. To keep your mobile phone charged and ready to go, you need compatible mobile chargers, mobile cables and you can also invest in a high-quality power bank for power backup. Jumia Egypt stocks a wide range of phone chargers and tablets cables. Browse through our charger and cable category for all types of charges and cables including USB data cables. Looking for the Perfect Mobile Charger? 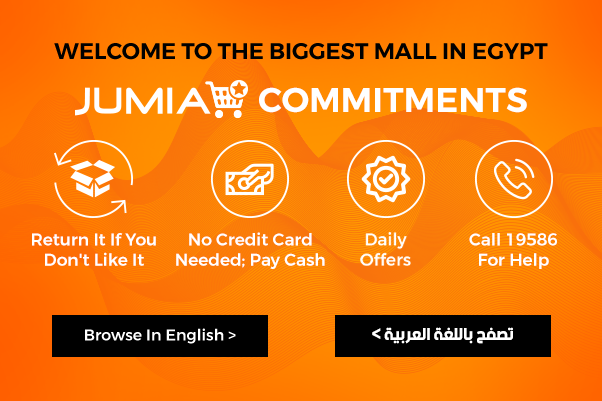 At Jumia Egypt, we have a variety of charges including portable chargers. If you are looking to keep your iPhone charged throughout the day, get yourself a portable charger for iPhone. We also have car charges for when you are traveling. With the evolving mobile phone technology, charging options are also changing, nowadays you can use a docking station or a charging pad to power your smartphone. When shopping for a wireless phone charger, you can sort using brands, then order online and have it delivered to your home or office. Shop for the best portable charger and cable online with Jumia Egypt. Check out our wide category for cell phone chargers, HDMI cables and USB data cable.